This is not a Beach Holiday where you mostly lay around and work on your tan. 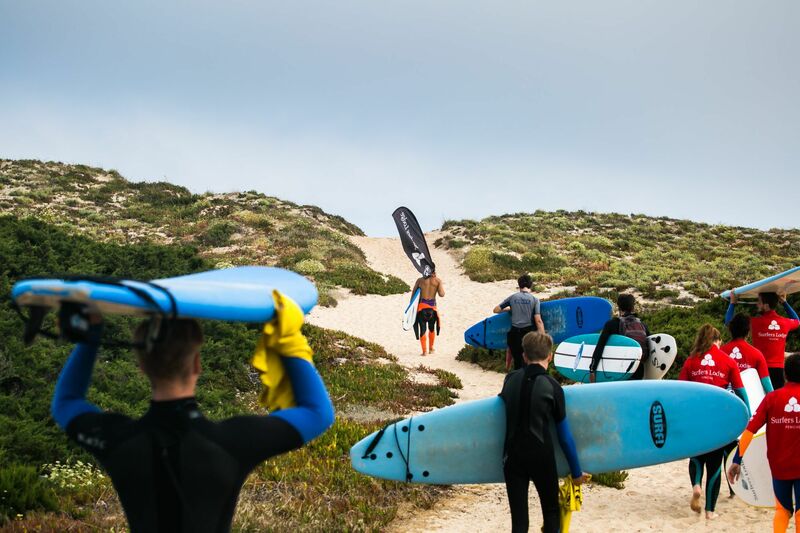 A Surf Holiday is a chance to challenge yourselves and learn something new. Surfing is a tough workout and takes focus. The reward is that it is so much fun! Learning to surf together is a great chance to be a supportive friend. Researchers at UCLA discovered when women are confronted with a challenging situation, they will encourage and support each other. The sudden release of oxytocin is more likely to inspire a “tend and befriend” reaction (vs. the classic “fight or flight”). In other words, you will be cheering for your girlfriends, sharing in their excitement, and learning in a supportive environment. The vibe is always better with more girls in the water! Friends that surf together, stay together. Your shared passion will bring you together for adventures all around the world for years to come. Your first Surf Holiday together won’t be your last! You’ll also meet new people who feel the same way you do about surfing, and the tribe will grow. Once you catch your first wave, you’ll want nothing but to catch the second one. Surfing is a healthy addiction. It’s the one workout that never gets old. The better you get, the more fun you have. The more fun you have, the more you want to surf, and on and on. You won’t need your friends to push you to workout anymore. You’ll all be excited to go surfing! One of the best things about surfing is that it makes you really, really hungry. Food tastes so much better after a surf! Plus, you can forget about counting calories during your Surf Holiday: you’ll burn up every one in the water. Sweet potato fries? Yes please! Chocolate brownie- um, duh! Gettin’ your grub on with the ladies never felt better. Surfing is empowering. Empowered women change the world. Surfing can help you tap into your ambitious nature and keep you motivated to follow your dreams. Why not share that motivation with your best friends? Let’s face it, it’s not debatable. They are hot. So why not have them around while you’re changing the world… on your Girls Surf Holiday. Call it inspiration!